Alimak Hek is a world leader in the supply of material and personnel lifts for the construction industry. 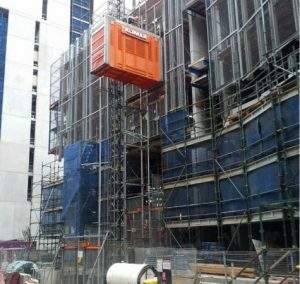 In Australia, Alimak Hek, provides leading solutions for industrial elevators, mast climbing work platforms, transport platforms and material hoists for both permanent and temporary installations on multi-story construction projects. The increase in demand from the construction market over the recent years has placed challenges on Alimak Hek to ensure maximum availability, reliability and minimum turnaround time of equipment that meet the needs of each construction project. 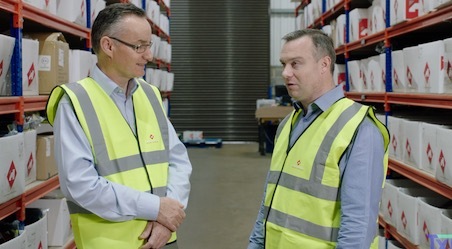 Alimak Hek engaged TXM Senior Consultant, Rob Chittenden, to apply Lean Thinking principles in order to improve the integration and management of their processes at their Dandenong operations. TXM mapped the end-to-end processes, streamlined the workshop activities of servicing and preparing hoist equipment for hire as per customer requirements, along with warehouse logistics and the fabrication of related equipment. This project has extended the capacity of the Alimak Hek operation and improved throughput in the workshop, reduced lead times, achieved greater visibility and control of accessories / components, improved warehouse logistics and optimised fabrication activities. This involved the introduction of Lean thinking to develop integrated processes and visual management systems to streamline the flow and coordination of information. Alimak Hek has eliminated their workshop backlog while reducing the need to expedite parts. Improvements extended into the planning, assets allocation and fleet scheduling functions. The performance gains improved the response times and delivery accuracy of key components to the installation teams. These improvements have benefited the customer by reducing hoist downtime at the construction sites due to more efficient installations and erection of landing assemblies and components. The layout and flow in the yard was re-organised and planning of fabrication for custom ties and landing platforms needed for projects was streamlined. Improved housekeeping within the yard and workshop areas has improved safety and efficiency as well as significantly reduced the time taken to pick and pack components for site installations. As a result, the business has been able to significantly increase capacity to meet customer demands from the Dandenong operations, along with maximised performance of the hire fleet and support services for the construction industry.